With cold, gray days around the corner, shaking things up with some excitement and glamour can certainly be welcome. Now in its fourth year, the notoriously enticing Art of the Cocktail is returning once again to Victoria in October. 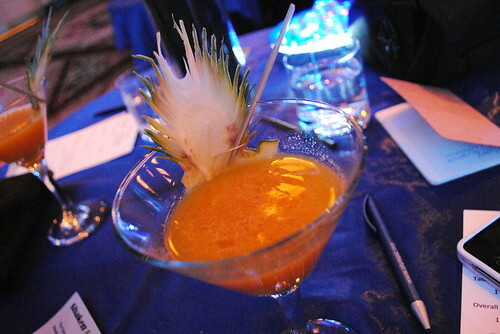 With a mix of friendly competitions, workshops and contestant challenges, Art of the Cocktail celebrates the very best of cocktail traditions. Be sure not to miss the Home Bartenders’ Competition, the two-week long Tour de Cocktailia and showdowns between Victoria and Portland and Vancouver and Seattle with the Ultimate Cocktail Challenge. The weekend’s signature event, The Grand Tasting, culminates in music and mingling with savoury eats and incredible cocktails. This event is held under the twinkling dome at Crystal Garden with music from the The Krazy 88s. Tickets for The Grand Tasting are now on sale and all proceeds from the entire weekend benefit the Victoria Film Festival. The Art of the Cocktail weekend runs from October 13th through the 15th, though the Tour de Cocktailia begins on September 29th. For more information on all the events, venues and excitement, visit Art of the Cocktail’s website. You can also purchase tickets online. Stay up to date by following Art of the Cocktail on Twitter or liking their Facebook page. Please remember to celebrate Art of the Cocktail responsibly. Attendees are reminded to take a cab, take public transit or use a designated driver. Never drink and drive.